You did it. You’ve just published the perfect blog post. You just know it’s going to be huge. After all, you spent hours creating the content, reworking the headline, and designing the perfect image. 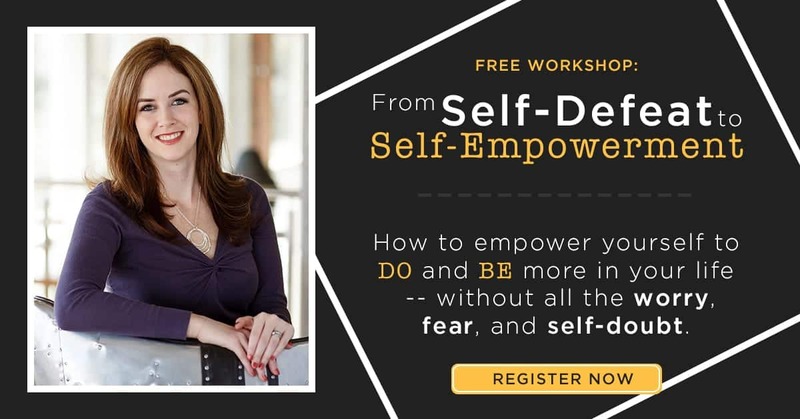 You breathe a sigh of relief as you finish scheduling your new post on your social media profiles, confident your post is going to help people. You sit back and wait for the comments to come in. Except when they do, your jaw drops in horror as they reveal to the entire world (or, at least, those reading your post) that you typed a word twice in the third paragraph and used “your” instead of “you’re” in the fourth paragraph. You are crushed. Instead of being inspired by your words, your two mistakes are what people are talking about. I can relate — I write a proofreading blog, for crying out loud! People take personal offense when I leave typos in my posts. And as a blogger, putting ourselves out there for the world to criticize is quite intimidating. While your message is clearly what matters, you will be judged based on your writing abilities. Even those of you who are aspiring or working proofreaders can relate — especially when it comes to scouting for clients. We all do our best proofreading right after we hit “Send,” right!? I know the feeling. Once, I didn’t get an internship because I had a typo on my résumé. True story! But now, I get it. As a busy business owner in addition to being a proofreader, I find that I am also quick to forget people wanting to work for me if there are major typos in their emails. 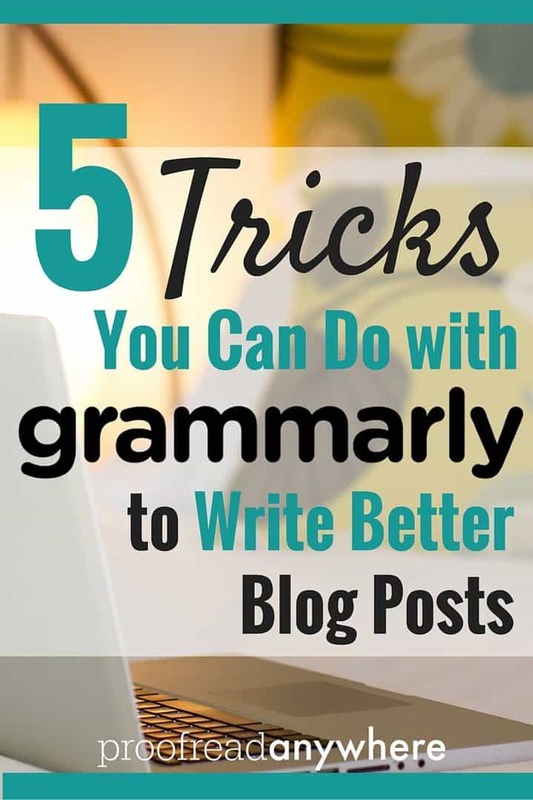 It is harder to be taken seriously — and harder to inspire people — in the writing world if your blog posts have basic grammar and punctuation mistakes. Especially if you are looking to get paid for your writing, it has to be top notch. Same goes for getting jobs. Excellent writing makes the best first impression. Sometimes it can feel overwhelming trying to remember all the rules that go along with grammar and punctuation (seriously, how long ago was high school English?!). Thankfully, there is a free/low-cost and super helpful tool called Grammarly that will help you deliver polished posts — and résumés — every time. Note: Grammarly Basic is free forever. They reached out to me with a free trial for their premium membership, which is even more powerful and VERY affordable — and that’s what I am testing today! I figured out a few tricks you can do to easily make your blog posts more polished and professional. 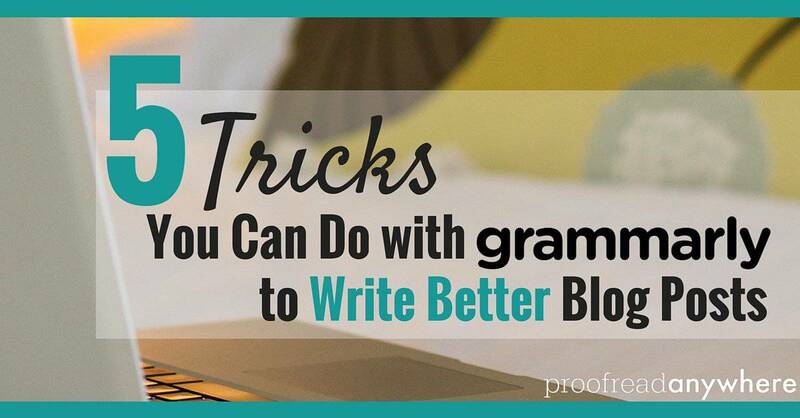 There are two ways you can use Grammarly to check your writing for grammar and proofreading mistakes. Option 1) You can install the FREE extension into your browser, and Grammarly will check your writing across multiple websites — including Facebook, Twitter, and my personal favorite: WordPress! Option 2) You can upload or copy and paste a document directly into the website to see what mistakes you need to fix. We’ll be working with Option 2 today. Here’s the first page you see when you log into Grammarly. I clicked the Add New button and copy-and-pasted a few paragraphs with some purposely planted errors just to see what Grammarly would catch. I was surprised! I thought Grammarly would only find the basic stuff… but I was wrong. Grammarly shows my text on the left and mistakes on the right. It’s super handy to have it line-by-line to see what I need to fix. Trick #1: “Click to Correct” fixes mistakes in just a few clicks. Grammarly makes it unbelievably easy to see where my mistakes are and makes them super easy to fix or ignore each one. Just click on the word that you want to fix, and Grammarly will fix it for you. Fixing errors become a breeze as you can quickly go through the post and take — or ignore! — Grammarly’s suggestions. Trick #2: Use the explanations to learn WHY something is incorrect — to save time later! Wondering why Grammarly has highlighted something as a mistake? It has the answers! Learning why something is incorrect can help you make fewer of the same errors in the future. Grammarly then gives you an explanation as to why they have flagged the mistake. This feature is especially nice when you wonder whether you need a particular punctuation mark or not. Trick #3: You can program it to know what you do/do not care about. Personally, it would annoy me if Grammarly always pointed out when I had repeated words — I like it that way, thankyouverymuch! Grammarly always shows a breakdown of what needs fixing by clicking on the pen tip icon in the sidebar, and you can turn features on and off to limit what things the tool brings to your attention. You’re an honest person, so why would you need this? Well, bloggers can get really busy and may need to hire outside help. How can you be sure the article you paid a virtual assistant to write is authentic? Use Grammarly! I decided to test this using text I already had on my website. WOW! It totally nailed it and delivered the exact URL where the text is already in use. Gotta love that 97% unoriginal declaration at the bottom. I do love the pre-formatted citations, too — I would’ve loved something that simple back in college! Trick #5: Grammarly can spice up your vocabulary. This is probably one of my favorite features. Grammarly can actually give you vocabulary suggestions to improve your sentences! This feature is especially handy when you’re trying to get a point across but just can’t seem to come up with the perfect words. For me, it points out when I’m using generally overused words… you can see in the right-hand column below, it’s pointed out to me that “true” is an overused word and suggests using “real” in its place. But say I really like the word “true”… then I can just click “ignore” and go on my merry way. WARNING! Human Eyes are STILL USEFUL! Just because Grammarly catches many grammar and punctuation mistakes, there are still benefits to having human eyes look over your work. Just because Grammarly caught it doesn’t mean you need to change it. I’m sure we all learned in school that you aren’t supposed to end a sentence with a preposition. Grammarly, of course, catches this, but guess what? It’s not as important as it used to be. Always write your content to be easily read. Sometimes that means ending a sentence with a preposition. People speak that way. I know I do! A human proofreader can tell when it makes more sense to leave it that way than to try and rework a sentence just to comply with a rule. Grammarly is technical and may not be able to determine your meaning. A human proofreader can understand how all your words fit into the story you’re telling. Proofreaders can help you tighten up your writing. You may be stating your point with lots of words… when you only need a few! I gotta say, when Grammarly asked me to review their premium service, I was doubtful. But after seeing what kinds of stuff it could pull out of my own meticulously written [or so I thought!] blog content, I’m giving it two thumbs up as a great option for bloggers and writers on a budget — AND for me! Right inside WordPress, Grammarly caught several unclear sentences and areas where I’d used passive voice without realizing it. And I hate using passive voice! I’ve written over 100 blog posts in the one year (and change) PA’s been live on the web. That’s $500 in Fiverr gigs — which truly is a great investment if you’ve got an excellent proofreader — but for bloggers and writers trying to stick to a tight budget, opting for Grammarly's yearly $139 annual option comes out to less than 12 bucks a month. That would allow you to save over $360 on those same 100 blog posts, and you can use it for as much content as you want — like emails and résumés! Even their $29.95 monthly option is still a great deal if it saves you from embarrassing errors and lost opportunities. This is interesting. I’m keeping a running list of all the things Grammarly has missed or gotten wrong using the free version. It sounds like the paid version is much better. How does it do with commas? I’ve found that the free version misses most comma splices. They also have an extension that you can put right into your Word program as well. I use it a lot while I’m Proofreading. No it does not catch everything, that’s what we’re paid for, but it does make it easier to catch some mistakes and even to help you learn from those mistakes as you go. It really does make it easier to catch some things!! I think I noticed an error that wasn’t addressed. “Your not just winging it, hoping being an English teacher will get you by.” Shouldn’t the word “your” at the beginning of the sentence be “you’re”? I saw that one too! You’re right!! My guess is, as a machine, it probably thought I was saying something like, “Your being my friend makes me happy!” Definitely one of those areas where humans are better!! I have been using Grammarly for years! It saved my rear a time or two when I was working on my grad school thesis. It’s an amazing product and the folks over there are wonderful people. Super helpful! I recommend this product to all my blogger and book writing friends. Good blog post! I wonder if using Grammerly would be helpful with proofreading for court reporters, since we can’t change what people actually said under oath. Very interesting. I’m editing a thesis right now. I do wonder though if Grammerly has settings for English and American English as there are quite a few differences. Having lived and worked in both the UK and the US I sometimes get muddled and have to quickly check. That I am not sure about. I think it only supports US English at the moment. Actually Caitlin I use it for both my US and UK (or Canada) writing. It’ll look over the piece written and if it finds writting that is inconsistant with the rest of the document. ie if you’re writing in UK and you put in US word it’ll tell you, or vice versa. So you shouldn’t have much of an issue, I know it catches mine automatically. You can always test it to see if t catches something. Its verdict? “We didn’t find any plagiarism, but we found 3 writing issues.”. It ought to be better than that. btw, Grammarly wants an apostrophe in “Its” above. I find Grammarly pretty good for spelling, double words, and extra spaces, but the grammar is not so good.